Hi guys it is May 2015 and that means it’s time to take care of your feet! From brutalized toes to unsupported ankles and improper shoes, it is time to focus on the health and wellness of your feet. It’s World Foot Health Awareness Month (WFHAM), and our foot care clinics would like to call attention to the importance of taking care of your feet. World Foot Health Awareness Month’s biggest goal is to help people realize that foot pain is not normal. On the contrary, healthy feet are part of a healthy lifestyle. If you are suffering from foot pain or sores, it can be debilitating and interfere with your quality of life. Comfort Stride is giving away pedometers to visitors at our two foot clinic locations who show their participation in WFHAM. You can make a donation of $2 for one pair of socks, and we have 100 pedometers to give away to the first visitors at each clinic that donate $10 worth of socks to the charity of their choice. Visit our foot clinic in Bradford to help support Blue Door Shelter. 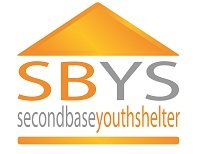 We will also be donating to the Second Base Youth Shelter from our Scarborough location. At the Scarborough location, we will be collecting socks and donations daily, while our Bradford location will be collecting socks and donations on Monday, Wednesday and Friday. We are also giving away free pedometers from visitors who help us raise Foot Health awareness by liking us on Facebook and sharing this post about World Foot Health Awareness Month with your friends or Twitter followers. Just visit a clinic and show us the like or share on your smartphone and you can walk away with a pedometer. There are limited supplies of these pedometers, so make your donations fast. We encourage you to practice proper foot care not only this month, but year-round. Support Foot Health Awareness Month by sharing this post, and by visiting one of our foot care clinics.